O (Observation): The Temple was at times the locus of worship, the center of God’s presence on earth. Ezekiel is given an extremely detailed explanation for the Temple’s layout and function. In this particular text, he is shown a river that flows from the Temple, outward. 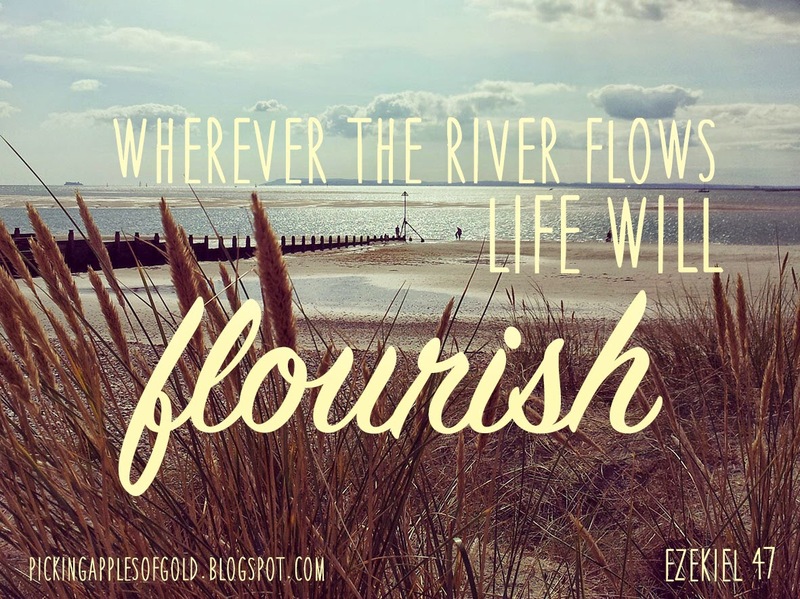 And where that river flows, life springs forth! Abundant life, at that. Like trees that bear fruit every month! Like fish being plentiful! And not only does life spring forth from the fruit of the trees, but also the leaves of those trees are for healing. A (Application): Knowing that God provides life and healing is comfort that I need. I try to muster up healing and actions on my part that will provide what God promises…and yet I fail. As life goes on, I realize more and more that I am simply NOT God. We all know that, but if we’re honest, we try to prove to ourselves and to others that we can keep our sh!t together. That we can provide life and sustenance on our own. That we can be on top of all things. That we can handle this thing called life. The thing is, we will never have our lives completely together. We will have days where we drain life from others, rather than give life. We will cause pain, instead of healing. So, our complete hope is in God. Not in our hands alone, but God working through our hands. Not our voice alone, but God working through our voice. Not our hearts alone, but God calling us together into one heart that is bent towards loving God and loving our neighbor. May we share in the hope of the river of life that brings true life to all! P (Prayer): Lord, keep us alongside your life-giving waters, always. Amen. This entry was posted in Digging Daily and tagged Ezekiel, Healing, life, River, Temple, Water. Bookmark the permalink.